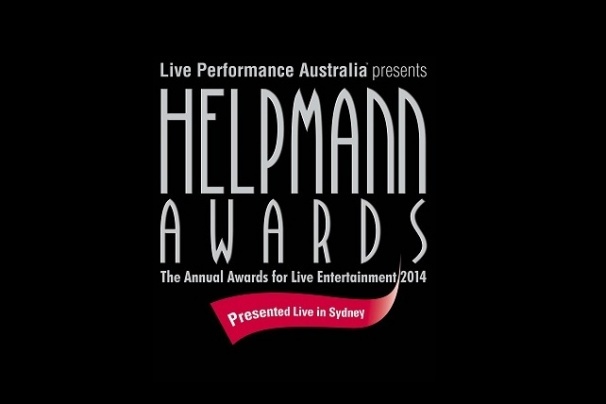 Please download the full list of 2014 Helpmann Awards Nominees at the top right hand side of this page. The nominations for the 2014 Helpmann Awards have been announced simultaneously at events in Sydney, Melbourne, Brisbane, Adelaide, Hobart and Perth. The events in each city were attended by the local Performing Arts community in support of The Helpmann Awards and what they represent. The Nominations were announced by various acclaimed performers in each city including Lisa McCune, Todd McKenney, Jonathon Biggins, John Wood, Nancye Hayes, Simon Gleeson, Li Cunxin and Greta Scacchi. This year’s nominees in the 41 categories, come from a wide range of disciplines, reflecting and celebrating our diverse and rich theatrical Australian landscape. Chief Executive, Evelyn Richardson, said "The Helpmann Awards are the pinnacle ‘night of nights’ event for our industry, recognising the very best in live performances that annually attract over 16 million people to shows across the country with revenues topping $1.2 billion." It was also announced today that the Best Special Event Award for this year’s Helpmann Awards will be presented to Destination NSW for Vivid Sydney 2013. Vivid Sydney 2013 attracted and enthralled more than 800,000 visitors, transforming Sydney buildings, landmarks and Sydney Harbour into a breathtaking outdoor canvass of art every night over 3 weeks and with more than 130 events. Now in its 6th year Vivid has become a landmark event on Sydney’s winter calendar. The Helpmann Awards also incorporate the Brian Stacey Award for Emerging Australian Conductors. This year the Brian Stacey Memorial Trust announced Russell Ger as the winner of the award, also receiving an $8000 prize . Russell is an orchestral, operatic and choral conductor based in New York. A proud alumnus of the Symphony Services Australia Conductor Development Program, he has worked with all the major symphony orchestras of Australia and recently relocated to the United States to study at the Boston Conservatory under scholarship. The 14th Annual Helpmann Awards will be presented live in Sydney at the Capitol Theatre on Monday 18th August and broadcast on FOXTEL’s Arena.